ZTE monitorship extended from 2020 to 2022 following further violation. ZTE’s troubles in the US continue with the news that a judge has ordered that the company be monitored for a further two years for compliance with export laws. The action is separate to that taken by the US Department of Commerce but is the consequence of the same violation. In 2017, ZTE was found to have illegally shipped products to North Korea and Iran. It reached a settlement with US authorities, but it failed to adhere the terms and earlier this year it was banned from dealing with US component suppliers for seven years. ZTE suspended operations and warned its future survival was at risk. 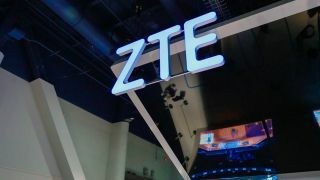 This ban was overturned following the intervention of US President Donald Trump and a new settlement was reached, requiring ZTE to pay a $1 billion fine, change its board and management, and put $400 million in escrow. It was also required to appoint an independent monitor who would report directly to the US Department of Commerce for ten years. And now US District Judge Ed Kinkeade has extended the remit of the original court-appointed monitor from 2020 to 2022. It will have the same access as the Department of Commerce’s monitor and will also assess compliance with US export laws, reports Reuters. ZTE, like its domestic rival Huawei, is effectively frozen out of the US market, while the UK’s National Cybersecurity Centre was warned British telcos from using ZTE equipment on national security grounds. However Huawei has not given up hope if playing a role in the US rollout of 5G, as demonstrated by a recent submission to the US Federal Communications Commission (FCC) warning a formal exclusion could negatively impact the American market.